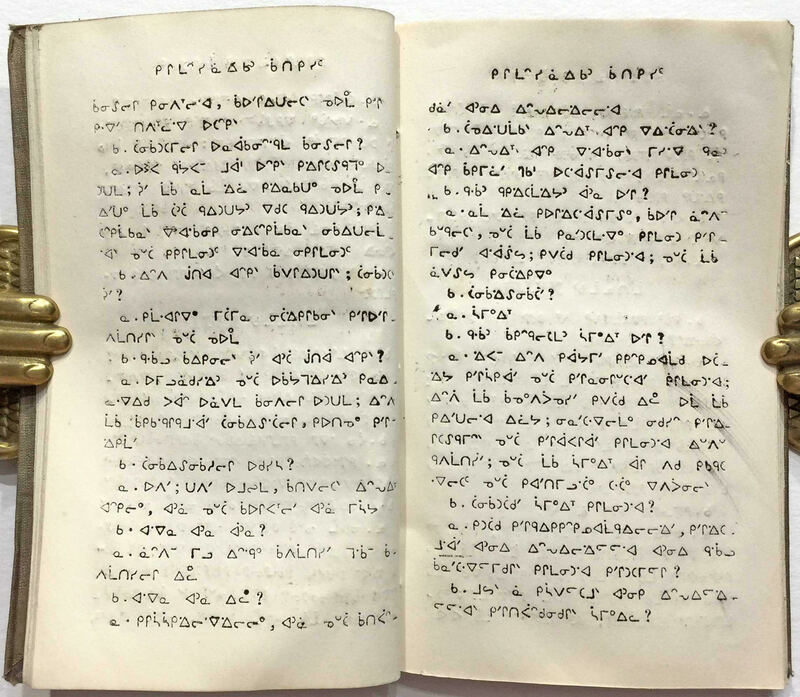 There are several people who can be said to have revolutionized the act of writing, and there are even a few who created writing systems that today are used by not just one culture but many. It’s hard to think of anyone who achieved both, but at such a personal cost, as James Evans. 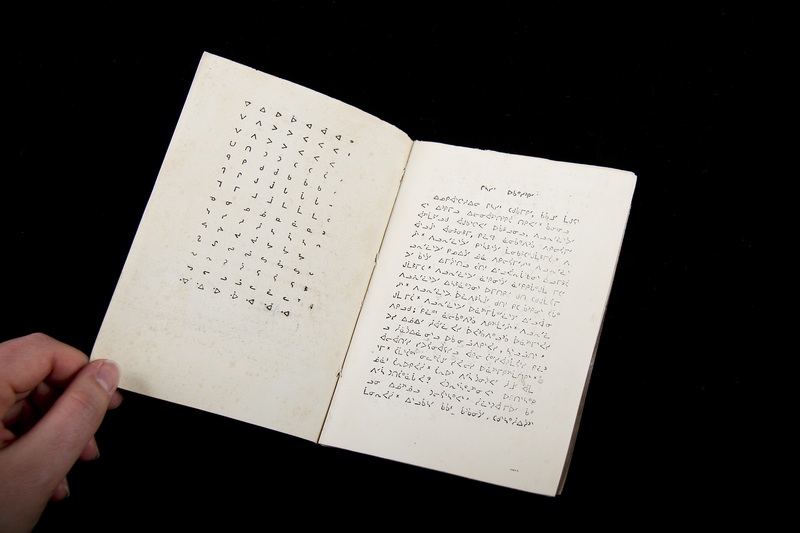 James Evans was born in England in 1801, and went into the grocery business, where, crucially, he learned shorthand. 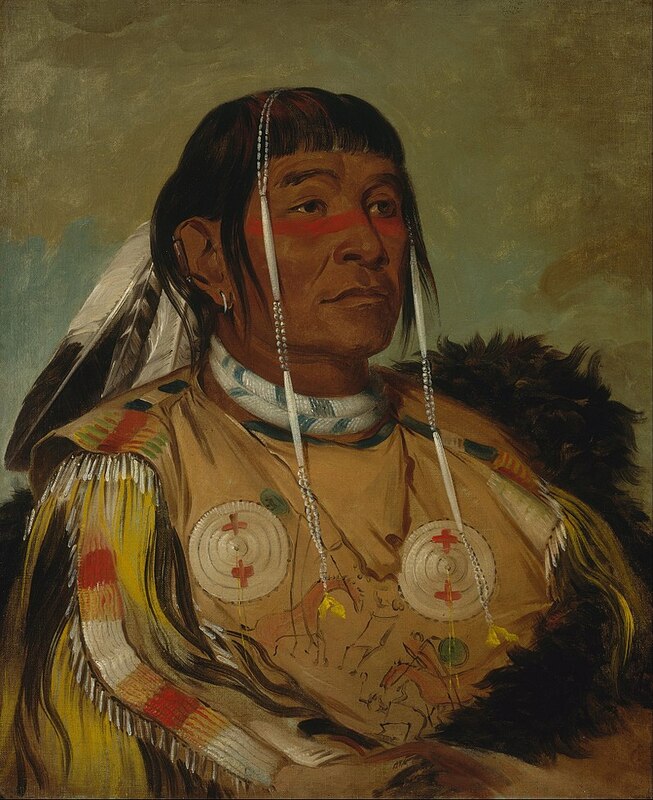 In 1822 he followed his parents to Canada, where he worked as a teacher. 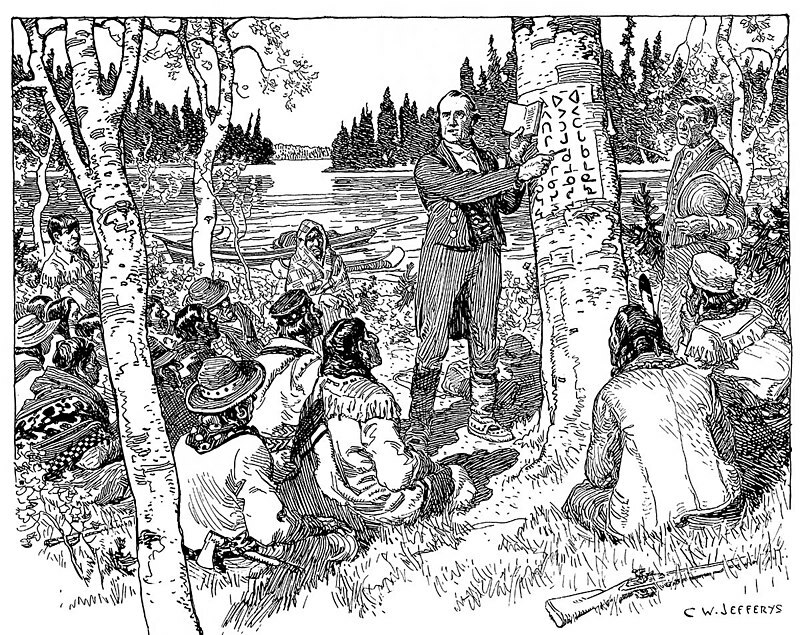 He underwent a camp-meeting conversion to Methodism, and in 1828 he was sent by his superiors to a school for Indian children at Rice Lake, where he discovered he had a flair for languages, and, just as importantly, an interest in and a fondness for the indigenous people he met. 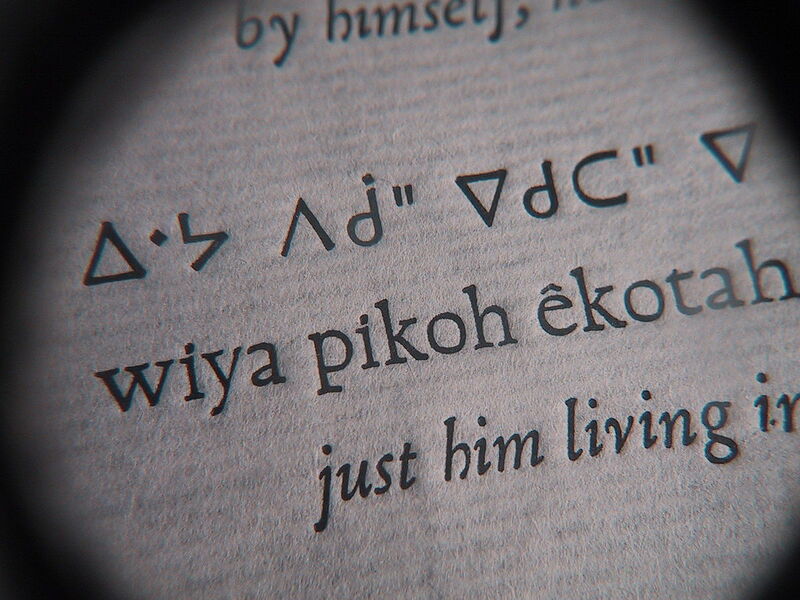 He picked up Ojibwa quickly, and began work on a radical document: a dictionary of Indian words. 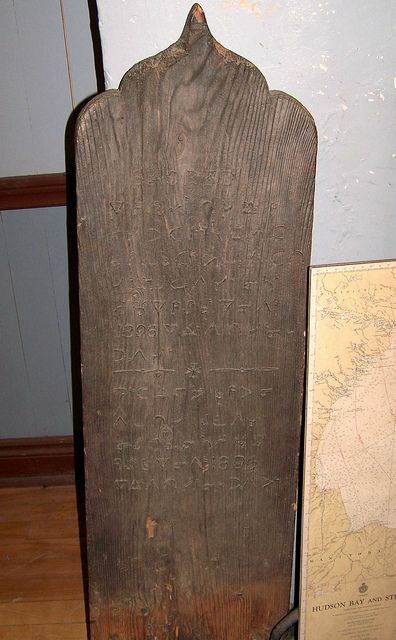 By 1837 he had translated hymns and scripture, and published his Speller and interpreter, in Indian and English, for the use of the mission schools. At the same time, though, his friendship with and advocacy for the Indians in his flock led him into trouble on two fronts — one secular, one sacred. 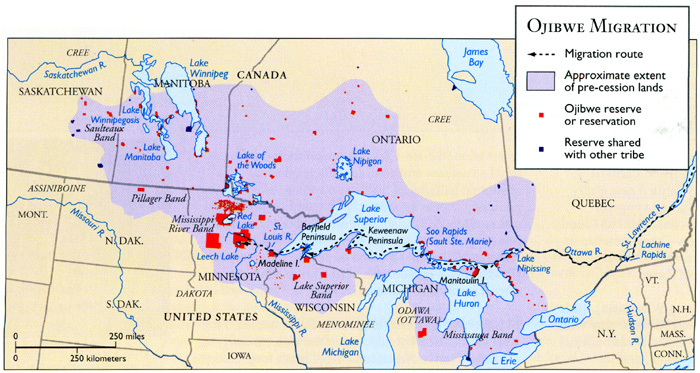 On the secular front, trade in Upper Canada was dominated by the Hudson’s Bay Company (HBC), which owned a total monopoly on every aspect of commerce. 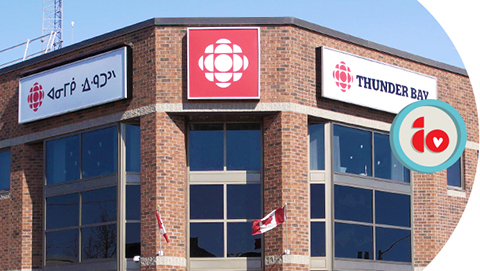 Even churches operated at HBC’s behest. 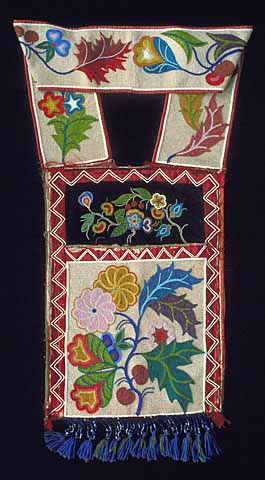 Evans infuriated the HBC by defending the right of Indians to exchange furs — a practice that Indians saw as gift-giving but the HBC saw as trading, and thus an infringement on the company’s monopoly. In retaliation, the HBC demanded the Methodist church remove Evans from its territory. The Methodist leadership, meanwhile, was also turning against Evans. When any of his indigenous flock fell ill, he sometimes cared for them in his own house, and as his patients sometimes included girls, rumors of sexual misconduct sprang up. Evans was investigated and found innocent, but the mere fact that he had cared for a sick girl in his own house was deemed improper behavior for a man of his church. The two-pronged attack resulted in Evans being summoned to England. He had been suffering from heart problems and kidney infections for some time, and even though he was once again found innocent, by now the stress on him was too great: he died without ever returning to Canada. After his death, Evans’s work was developed and adapted by John Horden and E.A. 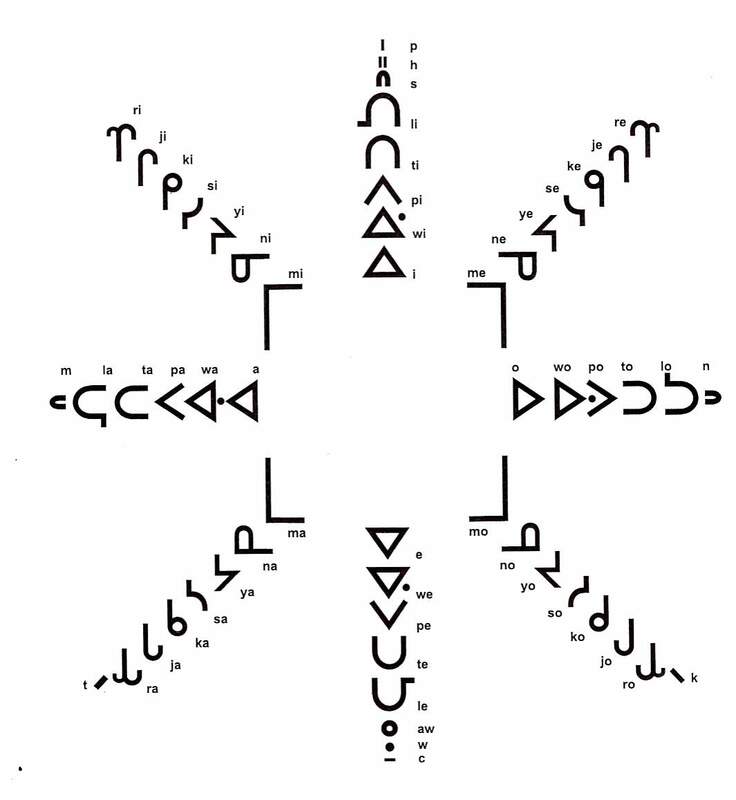 Watkins for the various Cree languages all across Canada, and in the far north Edmund Peck promoted the use of the modified Evans syllabary across the Canadian Arctic, translated the Bible into Inuktitut, and wrote both an Eskimo grammar and an Eskimo-English dictionary. 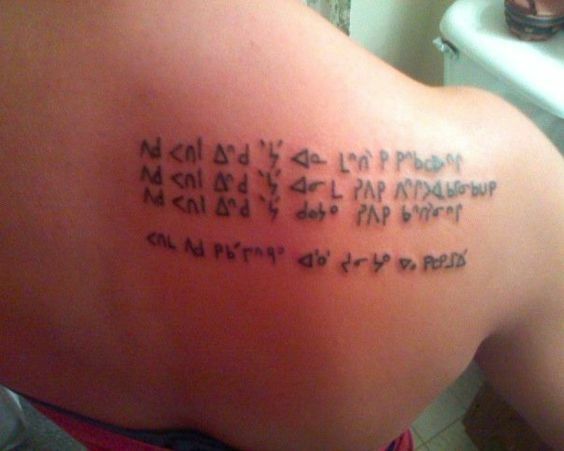 The script that Evans had invented became so widely used among First Nations that it is now officially known as Canadian Aboriginal Syllabics. 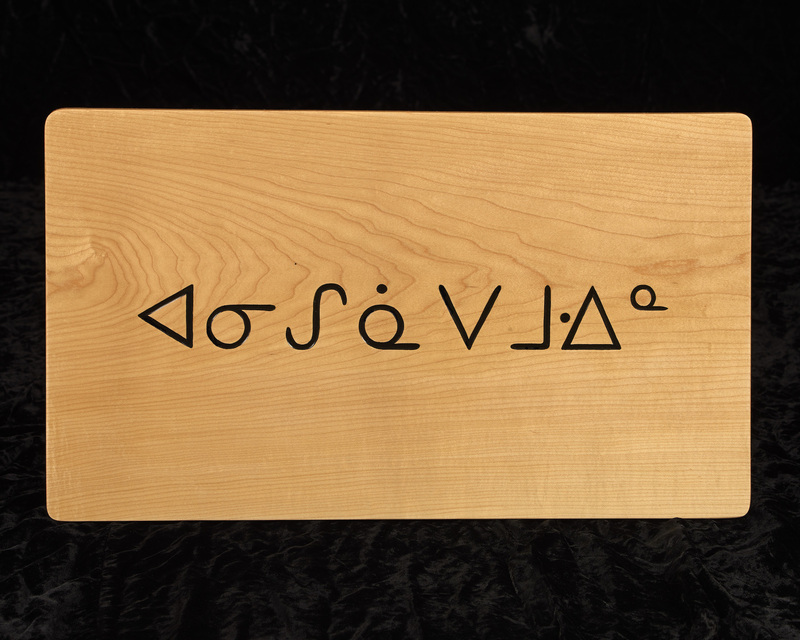 The ambiguous role of the Church in indigenous languages, however, led to the development of Christian “residential schools,” where First Nations children were forbidden to speak their mother languages and underwent a conscious program of cultural erasure and conversion. 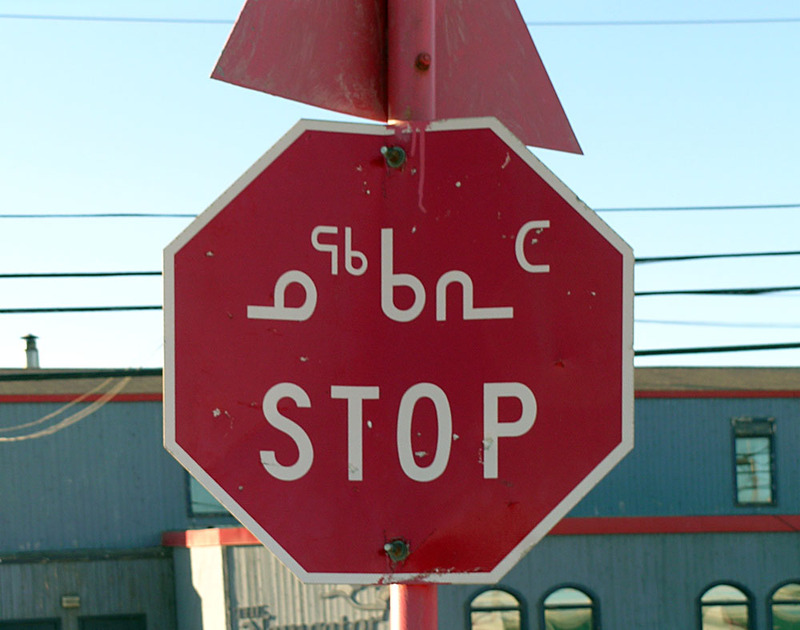 Even indigenous children who grow up within their own cultural and linguistic communities are likely to drift away from their languages and the syllabics. 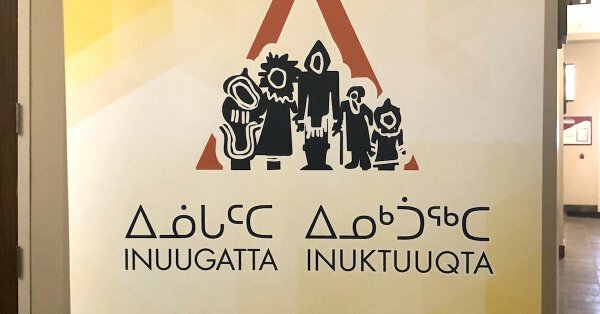 As recently as 2018 a Quebec human rights commission heard that Inuit children in the youth protection system had been prevented from speaking Inuktitut to each other. 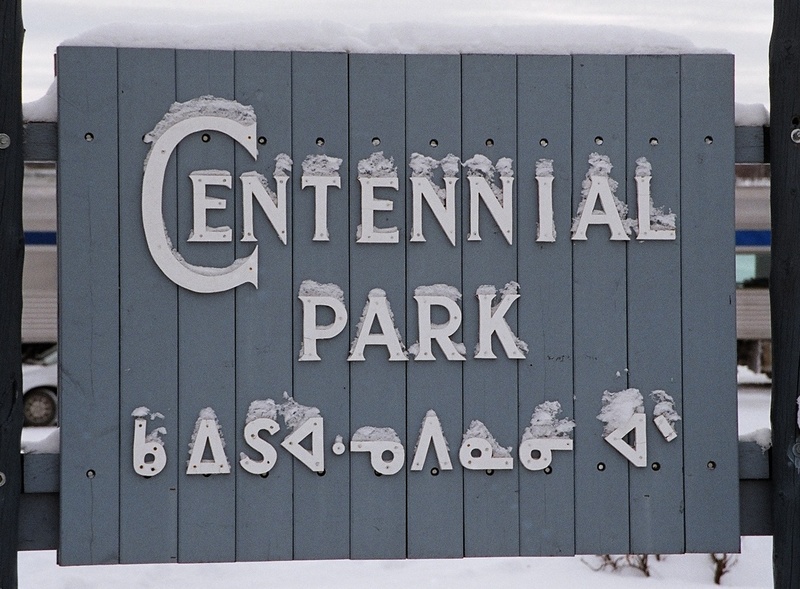 The health and usage of the syllabics varies greatly across Canada and across the languages that use it, a very general rule of thumb being that the farther north a language community is, the more likely it is to still use the syllabics, if it has a history of doing so. 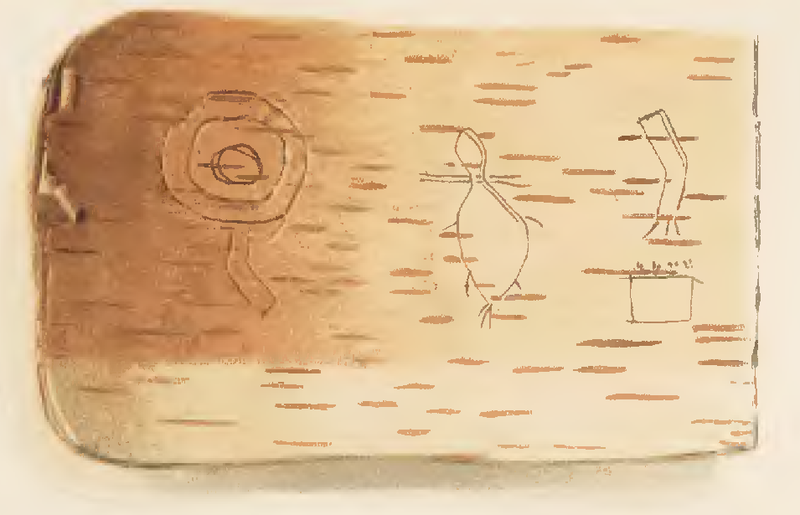 Thus syllabics can still be seen in use a little for Ojibwe (on both sides of the U.S./Canadian border), more for Cree, with the healthiest usage being for Inuktitut. 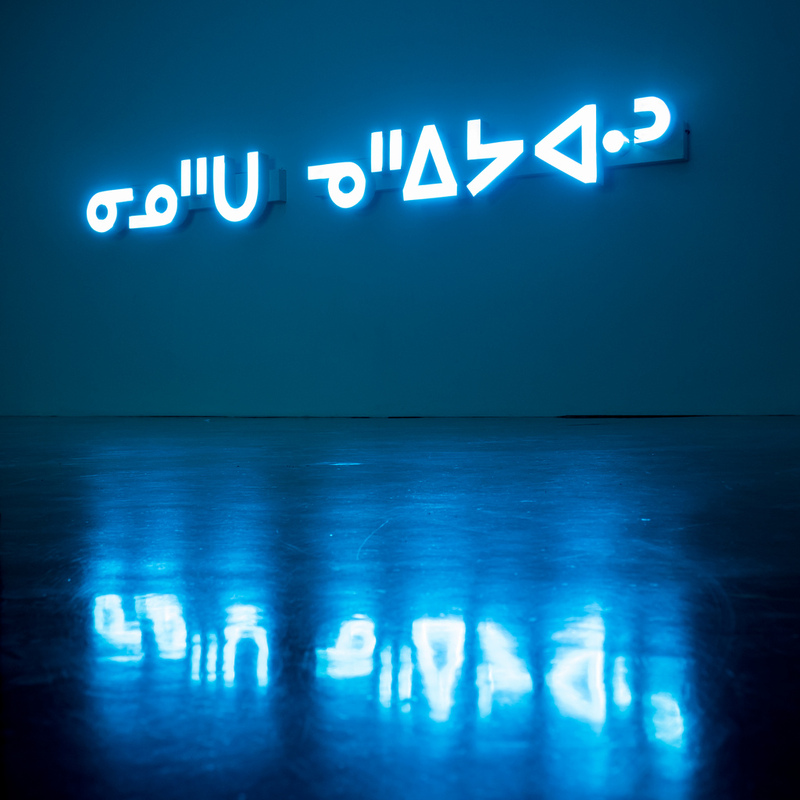 Monica Ittusardjuat is a translator and editor at Inhabit Media and Inhabit Education, a pair of Nunavut-based companies publishing trade books and educational materials in English and Inuktitut. She grew up in an Inuit family group in the Baffin region (which in 1999 became Nunavut), spending winter in camp and roaming with the family in spring and summer, and speaking Inuktitut all the time. At the age of seven, though, she was sent to a residential school, where the children were not allowed to speak anything but English in school. 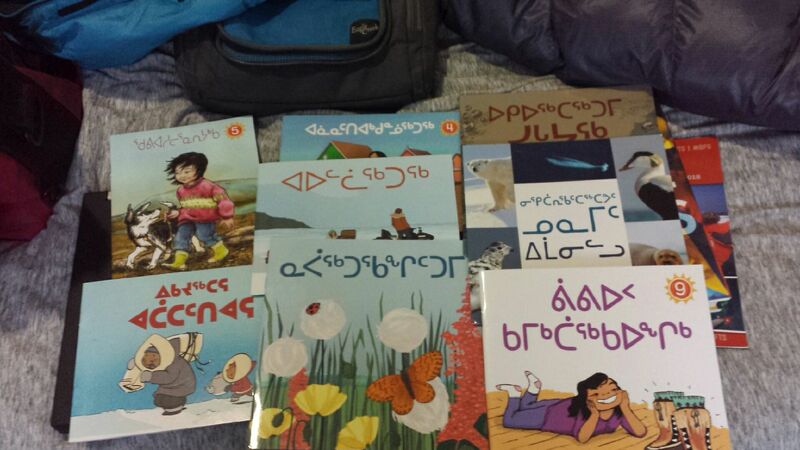 Still she was able to speak Inuktitut out of school and over the summer vacations. 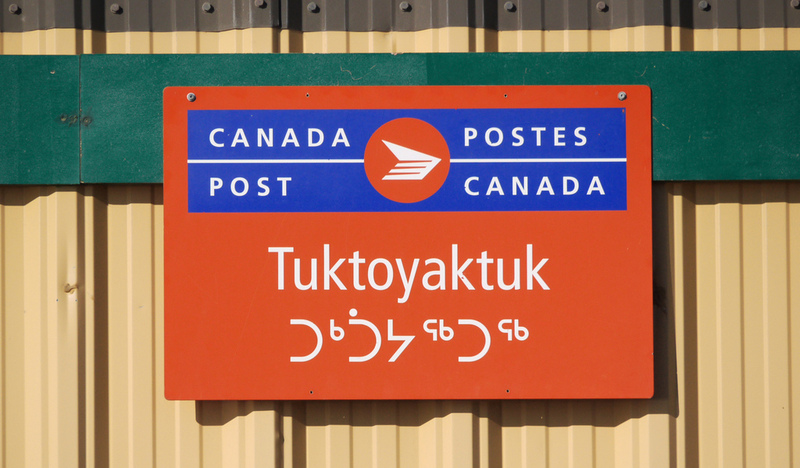 At the age of 18 she began teaching, first as a substitute and then full-time, specializing in Inuktitut language and subsequently linguistics. 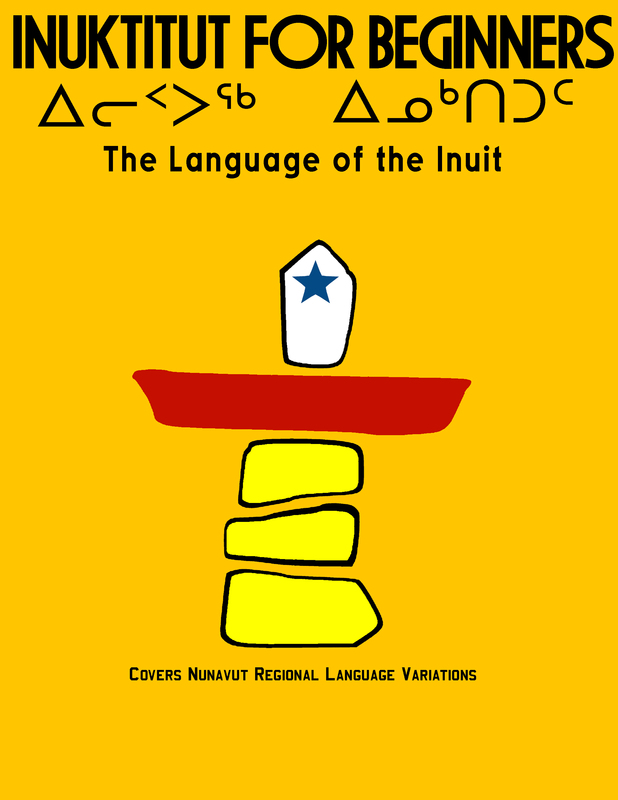 The Inuktitut landscape has changed a great deal over the past 50 years, she explained, “mostly because of TV.” Inuit children now grow up speaking a mixture of Inuktitut and English, and in the process some of the subtleties and even the grammar of Inuktitut have been lost. This is not just an anecdotal observation. 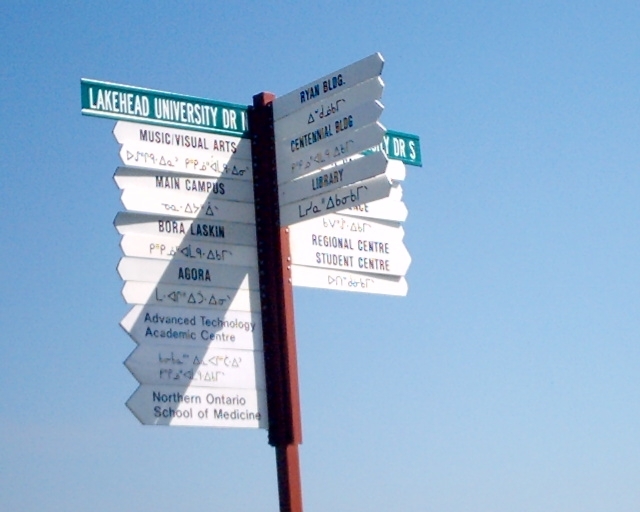 A study by Statistics Canada found that Aboriginal children who speak an Aboriginal language have been found to be more likely to look forward to going to school, and once at school they show stronger verbal skills (in expression, mutual understanding, story-telling and overcoming speech and language difficulties) and were also more likely to display what is called prosocial behavior (that is, kindness, politeness, willingness to help with or empathize with others) and less likely to suffer from hyperactivity and inattention. 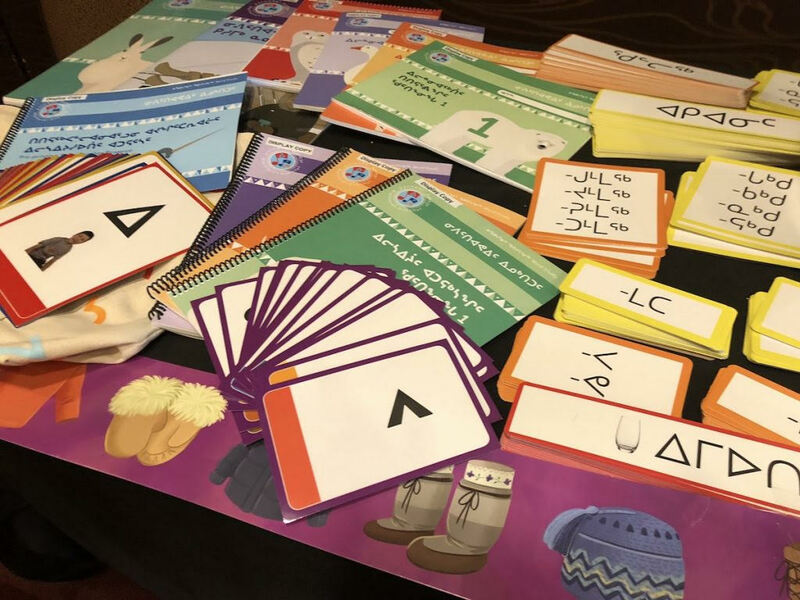 Moreover, the effects of mother-tongue education continue even beyond the children’s early schooling, according to a study by St. Francis Xavier University of Mi’kmaw and Wolastoqi immersion programs in Nova Scotia and New Brunswick. In the schools of that region, children turn to all-English instruction in the 5th grade. A formal assessment of 81 children in the 7th grade showed that of the children who were reading below grade level, all of them came from an English-only background. 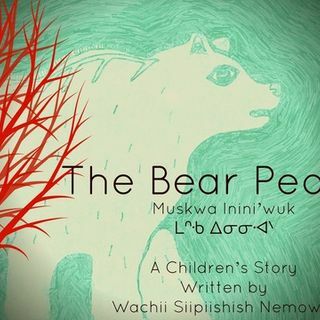 In other words, none of the Aboriginal children were reading below grade level, even though they were now in effect reading in their second language. By contrast, of the 15 students who tested above grade level for reading, retention, and comprehension, no fewer than 14 were former immersion students. 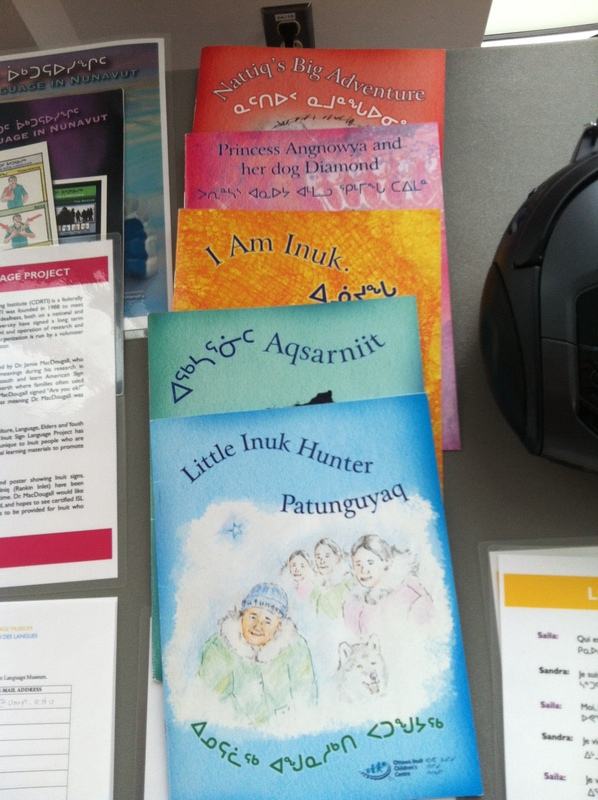 Inuktitut learning tools on display at Inuugatta Inuktuuqta conference in Iqaluit, March 2019. Photo by Jane George. 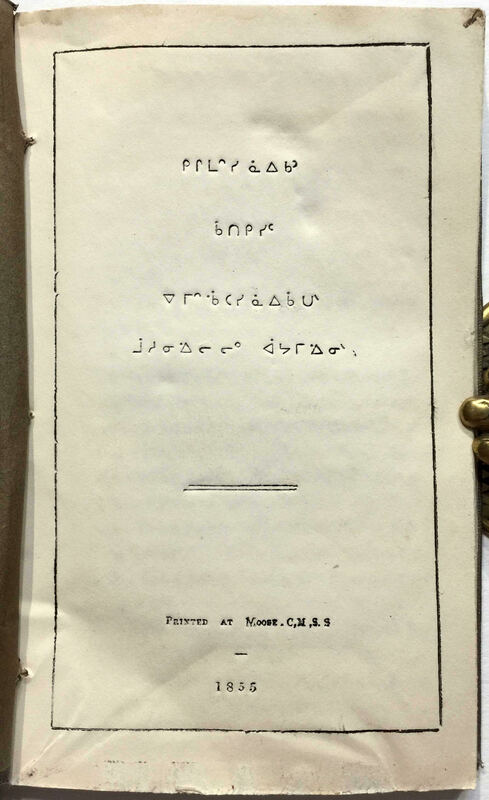 John Horden's translation of Pinnock's "Catechism of Bible and Gospel History", printed in Moose Cree syllabics at the Moose Factory Mission Press in 1855. 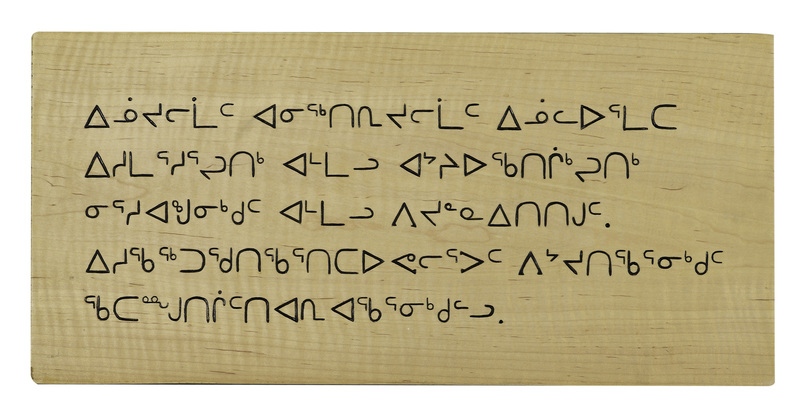 This script is now called Inuktitut syllabics, and is used by the Inuktitut-speaking Inuit of the Nunavik region in Quebec. Copyright reserved Incunabula group. Please do not re-use without permission. The title page of Hordern's translation. 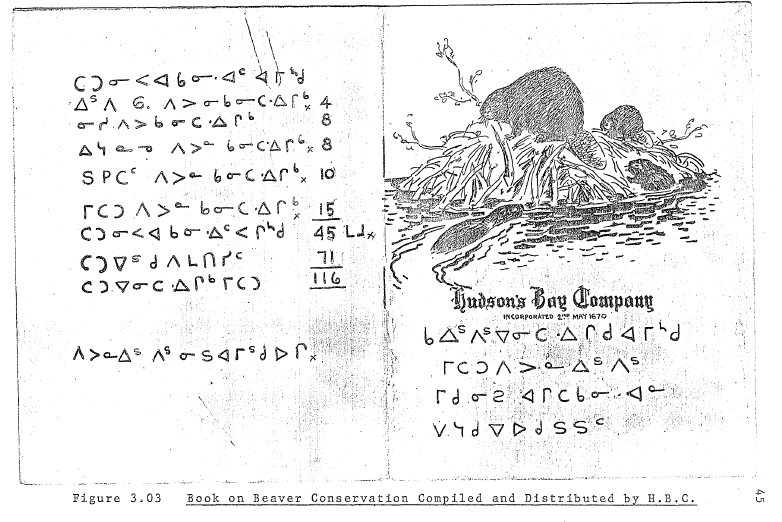 Between the autumn of 1853 and the spring of 1859, more than twenty books were issued from the mission press at Moose Factory on James Bay. Copyright reserved Incunabula group. Please do not re-use without permission.